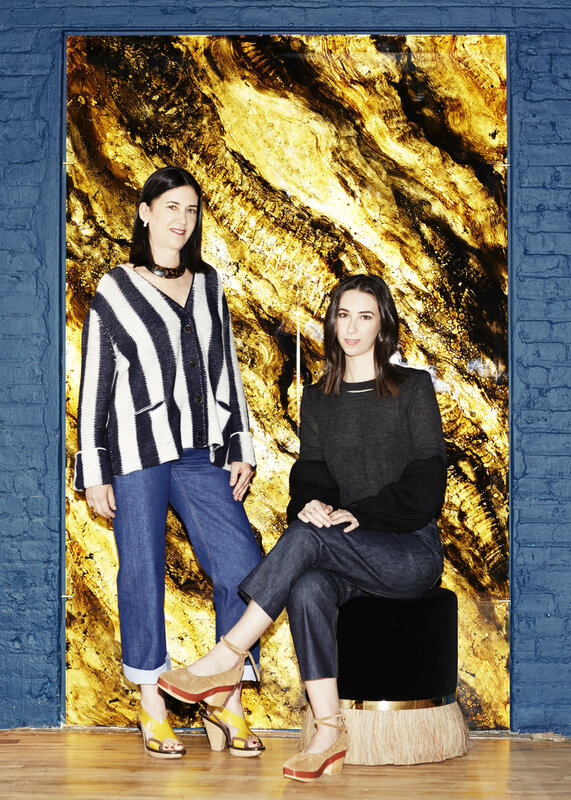 As a young girl, designer Helena Sultan was raised finding beauty in imperfection. “I grew up in a home filled with art and antiques,” says Sultan, whose mother is a painter and collected an eclectic variety of vintage furnishings from the 19th and 20th centuries. “I was drawn to the soul that antiques developed from human touch over time.” Her creative upbringing garnered Helena a successful career as an awarding-winning documentary filmmaker, which shaped her eye in terms of composition and detail — two qualities she would eventually put forth in design. In 2007, Sultan began designing handcrafted outdoor tables for her own home, with the intention to showcase the pieces to the public. However, once she finished the collection, the recession hit, putting her design dreams on hold. Eight years later, Helena resumed her furniture-making venture, launching her brand, Konekt, alongside her daughter Natasha. After opening their Chinatown showroom last year, Natasha joined her mother full-time, and left behind a job in vintage jewelry design. “I became attracted to the idea of creating larger pieces that served a purposeful function,” says Natasha of her decision. Imbuing their generational fascination in old-world refinement, Helena and Natasha have developed a lineup of furnishings that combine sculptural forms and natural materials, including horsehair from Mongolia and Gotland sheepskin. The entire collection is handmade by craftsmen in Lancaster and Bucks counties in Pennsylvania, where there’s a rich history of American furniture design. “It’s an industrial area with a lot of artisans,” says Helena, highlighting designers, such as George Nakashima and Wharton Esherick who also manufacture their furniture in the area.